The minority party has to start playing the long game, and playing it to win, or we're all going to suffer. Rejoice, Republicans, you will have another majority on your hands, because Democratic messaging for the 2018 election cycle is nonexistent. Meanwhile, Republicans are poised to gain a decades-long hyper-conservative majority on the Supreme Court with Trump's nominee, Brett Kavanaugh, and all the Democratic leadership can do is wring their hands and shout about Roe v. Wade, health care and immigration without a clear, unified message about how to win back the House and Senate in 2018. But if the party cannot win back Congress in 2018, the 2020 presidential election will be a moot point. If we are going to make America beautiful again, to take from Pelosi's phrase, it will not happen as a result of Democratic leaders dissing a young energetic candidate, or trying to make a long-term African-American representative practice respectability politics. It will not happen with a moribund DNC. It will happen if Democrats understand that the 2018 election is part of the long game of restoring democracy and common sense to America. After all, has Nancy Pelosi been around America lately? America is not beautiful. It is turgid and angry, with racism around every corner. White people are calling the cops on a black kid mowing lawns. A white man yelled at a woman wearing a Puerto Rico T-shirt that she had no business celebrating the territory, which is part of the United States. Immigrant kids are separated from their parents, drugged in shelters, and having to defend themselves at one year of age in immigration court. We have a president who cozies up to dictators, one of whose operatives sought to upend our electoral system while dissing our long term allies. If democracy depends on Democrats retaking power — in the words of the Washington Monthly's Paul Glastris— then the Democrats must start thinking differently, and they must start messaging differently. Playing respectability politics is not going to get us back the House, the Senate or the White House; going high when they go low ended with the low-goers winning. While much was made about the anger of Republican voters in 2016, Democratic voters are even angrier — and mobilized to vote in 2018. According to a Washington Post-Schar School poll, 46 percent of Democrats say it is extremely important to vote in the 2018 midterm elections. 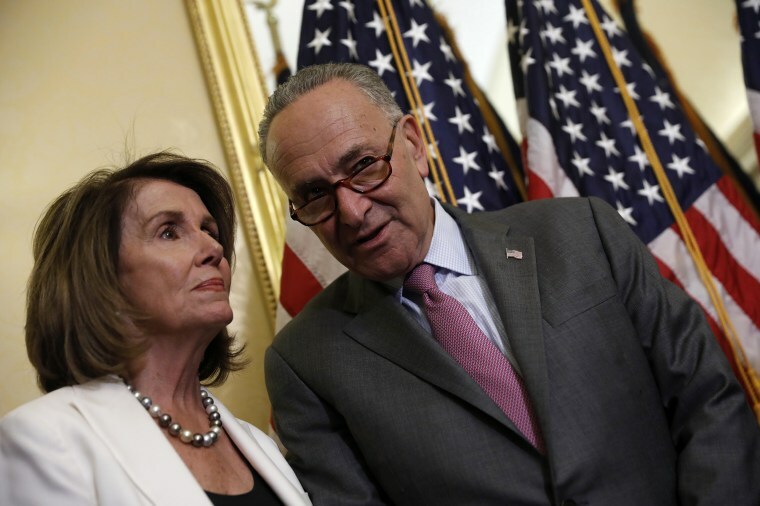 But they are watching their party disintegrate over squabbling about the 2016 election and the inability of Democrats to do anything to stop Trump’s numerous attacks on women, immigrants and people of color. And the leadership feels the need to tamp down on any kind of pushback against Republicans that is deemed uncivil, even if it excites their base as much as Trump's incivility excites his. Since the 2016 election, the Democratic party has failed to coalesce around a coherent message that galvanizes democratic voters who are increasingly incensed at the failure of Democrats to fight back, rhetorically or otherwise, at the Republican Party. Four months until the 2018 election cycle, there are few advertisements by Democrats or their organizations about voting in the midterms, or prosecuting immigration policies in the court of public opinion. Meanwhile, Republicans, always on message, are rolling out digital advertisements about Brett Kavanaugh, encouraging red-state Democratic leaders to confirm him. Democrats should be able to run on one clear message with which we all agree: Democracy is being destroyed under the Trump administration. The Republican Party is the Party of Trump, and Trumpism is not democracy. It might not be "civil" to accuse the other side of ruining the country, but they've never been shy about doing it to us and, this time, it's true. Come out fighting, instead of trying to be polite and civil; Trumpism has proven that bullying is a winning strategy. If Democrats cannot get a clear coherent message of why, exactly, voters should flock to the polls in a rebuke to the absolute chaos of this Trump Presidency — one which is mired in scandal and is stripping away every policy gain for which Democrats worked since the Roosevelt Administration — the party deserves to lose so that we can find something better with which to replace it. This time of national upheaval should be a clarion call for a clear message of common sense and fighting for democracy. If Democrats can’t find that message, then perhaps it will be time to change the symbol of the party from a donkey to a jackass. 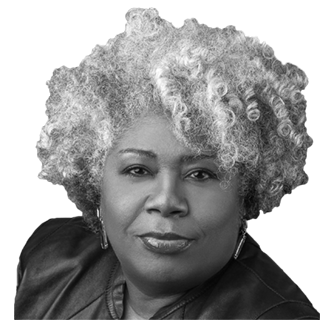 Anthea Butler is an associate professor of Religious Studies and Africana Studies at the University of Pennsylvania. She is the author of "Women in the Church of God in Christ: Making A Sanctified World" (The University of North Carolina Press) and her forthcoming book is tentatively titled “From Palin to Trump: Evangelicals, Race, and Nationalism” (The New Press).